I have seven cards of Bill Bathe. This one is from 1990 Bowman. Playing career: Bill Bathe played ten years of professional baseball, including time in the major leagues for the A's and Giants. He hit a pinch-hit three run home run for the Giants in Game 3 of the 1989 World Series. Where he is now: He is now a captain and paramedic with the Tucson Fire Department and also runs Pro Baseball Drills and Equipment, a baseball instruction site that can also be found at BillBathe.com. My memories: In 2010 he shared his thoughts on baseball cards with this site. Google Autocomplete results: He is first when you type Bill Bath, ahead of Billy Bathgate, a movie. Another prominent Bill Bathe is an accountant in Hawaii. Coming up next: The next profile will be Miguel Batista. I have eleven cards of Jason Bates. This one is from 1993 Classic Best. Playing career: Second baseman Jason Bates played four seasons in the major leagues for the Colorado Rockies. His best season was his rookie year of 1995, when he hit .267 with 8 HR and 46 RBI, helping the team make its first every playoff appearance. A fuller account of his career can be found at the bdj610 Topps Baseball Card Blog. Where he is now: A realtor at Weichert Colorado and an instructor at HitStreak Baseball Training. Google Autocomplete results: He is first when you type Jason Bates, ahead of Jason Bates Actor, which is a reference to Jason Bateman. Another prominent Jason Bates is Professor of Medicine at the University of Vermont. Coming up next: The next profile will be Bill Bathe. Mike LaCoss pitched fourteen seasons in the major leagues for the Reds, Astros, Royals and Giants. He was a National League All Star in 1979 with Cincinnati, going 14-8 with a 3.50 ERA. He now runs the website iBaseballChannel.com, which features interviews with former major league stars. He kindly shared with me this baseball card story. "Many of you collectors may have this card and don't realize this. On the back of one of my cards, a yellow 1991 Fleer , is a picture, a headshot of "ME", BUT, it's not me. No, I afraid that's Ken Oberkfell on my card." I have one card of Fletcher Bates, from 1998 SP Top Prospects. Great picture! Playing career: Outfielder Fletcher Bates spent ten years in the minor leagues, playing in over a thousand games for five different organizations. For his career he hit .264 with 101 HR, 499 RBI and 123 SB. Where he is now: The owner of Coastal Athletics in Wilmington, NC. Google Autocomplete results: He is seventh when you type Fletcher Ba, between Fletcher Bay Landing, a vacation rental in Puget Sound, WA, and Fletcher Bad Boys, referring to a character in a movie. There do not appear to be any other prominent Fletcher Bateses. Coming up next: The next profile will be Jason Bates. I have one card of Eric Bates, from 1989 ProCards. Playing career: Eric Bates pitched in 24 games, all in relief, for the Billings Mustangs of the Reds organization in 1989. He went 4-2 with a save and a 3.68 ERA. Where he is now: A Vice President of Investments at Stifel in Lincoln, CA. Google Autocomplete results: He is first when you type Eric Bat, ahead of Eric Batscha, Business Development Director at AppNexus. There are no mentions of the ballplayer on the first page when you google Eric Bates; the first is for a juggler. Coming up next: The next profile will be Fletcher Bates. I have four cards of Billy Bates. This one is from 1990 Score. Playing career: Second baseman Billy Bates played in 29 major league games, 22 for the Brewers. He played in just 8 regular season games for the Reds, plus another three in the postseason, but is best remembered as a Red. 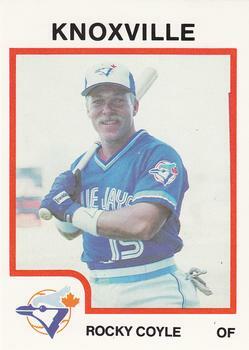 In his last major league game, he got a tenth-inning single off of Dennis Eckersley in Game 2 of the 1990 World Series, and eventually scored the walk-off winning run. Interesting stories: Bates is also remembered in Cincinnati for a highlight from the regular season, in which he outran a cheetah in a pregame stunt, with the cheetah losing as it got distracted when Bates’s hat fell off and he tried to eat the hat. Where he is now: Works for an oil and gas equipment supplier and coaches his daughter’s softball team. My memories: I remember he came up with the Brewers the same time as another infielder named Billy Spiers, and I tend to get the two of them confused. Google Autocomplete results: He is first when you type Billy Bate, ahead of Bill Bates, American Football Player, referring to the former Cowboys safety. The first entry when you google Billy Bates is an artist. Coming up next: The next profile will be Eric Bates. I have five cards of Richard Batchelor. This one is from 1994 Stadium Club. 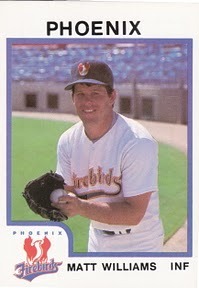 Playing career: Richard Batchelor pitched in parts of three seasons in the major leagues for the Cardinals and Padres. In 43 games he went 5-1 with an ERA of 5.00. My memories: I remember him being profiled in Yankees magazine as a minor leaguer – they used to do great minor league profiles in those pre-internet days. It was weird to see him finally make the major leagues with another team. Where he is now: Anyone know where Richard Batchelor is now? Google Autocomplete results: He is second when you type Richard Batc, between Richard Batchelder, a litigation partner at the law firm Ropes & Gray, and Richard Batchelor Facebook, referring to an article about the social media site by a management consultant. The first entry when you google Richard Batchelor is the consultant, not the ballplayer. Coming up next: The next profile will be Billy Bates. I have one card of Luis Ayala, from 2013 Topps Heritage. Playing career: Luis Ayala has pitched in 519 games in the major leagues, all in relief. He came up with the Expos in 2003, going 10-3 with 5 saves and a 2.92 ERA. In four of his first five seasons, he pitched in over 60 games and had over ten decisions, somewhat unusual for a reliever. The Nationals traded him to the Mets toward the end of the 2008 season. Since then he has pitched for the Twins, Marlins, Yankees and Orioles. Where he is now: After pitching in two games for the Orioles in 2013, he was traded to Atlanta, and shortly after was placed on the DL with an anxiety disorder caused by high blood pressure. He has since come back and is now 1-1 with a 3.18 ERA on the season. He last pitched on Thursday, striking out the only batter he faced in a 6-4 loss to the Cardinals. My memories: He was very good for the Yankees in 2011, and I was sorry to see him go to Baltimore after the season. Still, the Yankees have been pretty good at getting the most out of journeyman relievers lately; hope it continues. Google Autocomplete results: He is ninth when you type Luis A, between Luis Antonio Ramos, an actor, and Luis Alfredo Garavito, a serial killer. Another prominent Luis Ayala is the Secretary-General of Socialist International, an association of socialist political parties. Coming up next: The next profile will be Richard Batchelor. St. Louis Cardinals team photographer Scott Rovak has been shooting sports photos for 29 years. His photos have appeared on Donruss cards and in many publications. He kindly answered my questions about baseball cards. - Do you have any stories about cards that you took the picture for? I used to shoot a lot of cards for Leaf/Donruss in the early to mid 90's. I really don't have any stories to tell, mainly because all of the cards I did were action shots of the players. 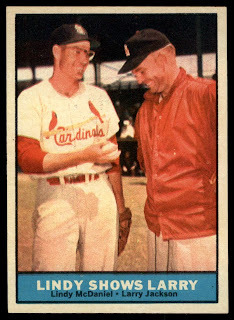 I never shot any posed shots for cards, so I didn't have a lot of interaction with players when I was shooting the cards. - Do you have a favorite card, either one taken by you or someone else? 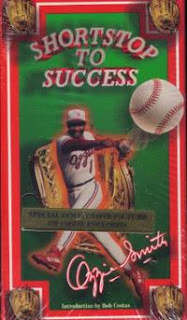 I shot a card for an Ozzie Smith instructional video. I took an action shot of him and a photo of one of his Gold Glove awards and merged them together and they printed cards to be included in the video packaging. - Do you collect baseball cards? 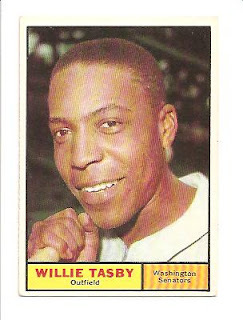 I don't "collect" cards, but I do have about 100 cards or so that I like, whether it's the image or the player that I knew. I don't have any cards created after 1998. I have a few Ozzie Smith rookie cards. Here is the last of the magazine card sets from the other weekend. There were two different designs used here. This one is pretty snazzy. Turns out it was the winner of a "design-the-card" contest. The winner was 13-year-old Marney Boruchow. Here is an article from the Philadelphia Inquirer about her winning the contest. "Her brother's friends thought it was weird." There other cards in the book, but these more standard-looking cards were just designed by a Topps employee. Brett Gardner - 2012 Topps Heritage - keeping (the action picture makes last year's heritage look so much better than this years). Rob Taylor pitched seven seasons of professional baseball, mostly in the Giants organization. He went 35-25 with 65 saves and a 3.80 ERA. Now Vice President & Senior Loan Officer at Universal Mortgage & Finance in Edgewater, MD, he kindly answered my questions about baseball cards. No not really. They never really gave us notice when the card companies we going to show up so we really didn’t have time to put any thought into how we were going to pose for the picture. Of course there were a few times when management put the NO FUN RULE into effect and when that happens all you get are the boring poses we all hate. I do still have the original check Topps gave us when they took my first picture. - Do you have a favorite card of yourself or of another player? I had a few Nolan Ryan cards but none I can really say were a favorite. - Do you collect baseball cards? I did as a kid but haven’t in a number of years. I probably have a number of cards boxed up somewhere. I got my first 2013's this week in a trade with Spiff of Texas Rangers Cards. I actually still have no base set - but I do now have this blue version card. He also sent a bunch of Heritage cards. They all seem to be poorly-colored extreme close-ups; not an attractive set. Also - they recreated the scratch-off trivia questions from whatever card the original design came from, but they have neither a scratch-off nor the answer, just a big white box! There was a nice card of a couple of Yankee prospects who are unlikely to amount to much. He also sent a bunch of fun minor league cards, like this one of Rambo. I had never seen a shiny parallel from 1993 Classic Best before. Catcher Phil Ouellette played ten seasons of professional baseball, mostly in the Giants organization. He made the major leagues in 1986 with San Francisco. Now Director of Sales at SledgeBats, a company which manufactures training bats that help players make the transition from aluminum bats to wood, he kindly answered my questions about baseball cards. "In 1987, my roommate Matt Williams and I posed for each others triple AAA cards. We were both injured and on the DL at Phoenix, Matt with a bad knee and me with a broken hand. I posed as a left-handed pitcher and under his name. My hand had only came out of the cast a few days earlier. I posed left handed so the pressure wraps would not show up on my right hand. Matt dressed as me and as catcher on one knee. His right knee was still in a sling thingamajig. The card company printed the cards without checking the proofs. The cards are very rare and worth big $$$. I have only seen 6 of them in all the 25 plus years people have sent cards to me to sign. We both had a great laugh when they came out and we were so good looking too. Well... we were just average looking boys with big dreams.... since we could not play injured. We healed some and got better. Matt had a great long career while I kept breaking bones in hands. Life is not all bad luck, I have 3 boys that are baseball studs. You will see them play soon. Shortstop, Catcher, LH Pitcher." Thanks! I could not find a picture of the card of Williams posing as a catcher - there is no card of Ouellette in 1987 Phoenix Firebirds set. Have any of you readers seen this picture? Here is a card of him from my collection, from 1990 CMC. Brad Newton is a photographer based in Dallas. He was the Texas Rangers team photographer for 27 years, and his photos appeared in cards from many sets including Donruss and Fleer. He kindly answered my questions about baseball cards. "Favorite that I shot? Carew 1983 Fleer # 81. Favorite card? 1961 Lindy shows Larry. 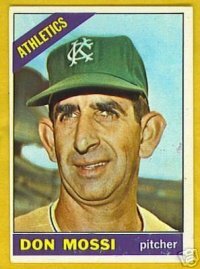 Anything of Don Mossi or Willie Tasby. 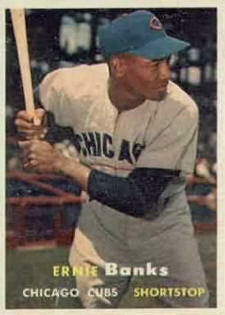 1957 Ernie Banks. I haven't collected for many years. The whole business stinks. It's all about the collector and not the fan. Kids can't afford them. Glad it wasn't that way when I collected. I don't have any stories about cards I shot. I did a lot of covers for Beckett way back. I did get Wade Boggs to pose with a rubber chicken once..."
Outfielder Rocky Coyle played six seasons of professional baseball, mostly in the A's and Blue Jays organizations. 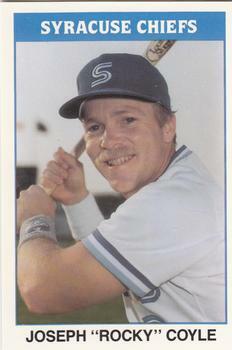 His best season was 1983, when he hit .381 with 16 HR, 59 RBI and 18 SB at Utica. Now a pastor, baseball instructor, and founder of 4Life Incorporated, which uses sports as a teaching tool for children and adolescents, he kindly answered my questions about baseball cards. "My 1987 Syracuse card was wrong,they put my middle name first Joseph "Rocky"Coyle. My real name is Rock Joseph Coyle or Rocky. I liked my Knoxville card the best for the clear picture and Syracuse...I have the 1984 Modesto A's black and white that not many have the entire set of." This set is probably the least interesting of the BCM sets my issues covered. The design is based off of that vintage Topps set with the black borders (1971?). The backs have predictions about value, but they are very vague and general this time. No cartoons either, unfortunately. Another vintage design here. I notice they kept to simple designs, probably made it easier for them. No predictions of future value on the backs, but there are some great cartoons, like this one with a shaggy Mattingly. These cartoons pack more interest and emotion in them than those that you saw on Topps baseball cards. Also, check out my terrible scissor skills. Awesome cartoon of Robin Yount in a biker gang. How do you know this is not the Topps artist? He actually draws black people! Lil' Ruben may be my favorite cartoon in the set. I guess the theme of modern players in vintage card styles worked well for Baseball Card Magazine, because that is what they would use going forward, though these are not related to a specific article in the magazine. Check out Kevin Mitchell's gold tooth! The backs are interesting for their predictions of the player's future baseball card value. Big profits on Kevin Mitchell cards! Yeah, I don't think so. Hoard those 1987 McGwires, not the 1985s, because they won't go higher than $15. Nope. When McGwire broke Maris's HR record, the 1985's were going for $75, but the 1987's were never more than a buck or two. No Hall of Fame for Bo Jackson. 1989 was probably the best time to sell his cards. Pick the Fleer rookie over the Upper Deck rookie for Griffey? You're 0-for-4, Baseball Card Magazine. Only one card left to redeem yourself. Ryne Sandberg will lose his second base job and be traded because of phenom Ty Griffin. Griffin never played a game in the majors and Sandberg retired as a Cub in the mid-1990s. Boy, there was some bad advice on these cards!